We started out the school year with a redesigned library! By moving the library collection along the outer walls the space in the middle of the room opened up to accommodate all the computers and tables. 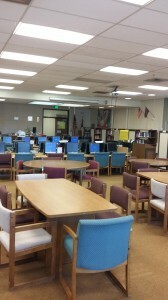 Now two classes can be in the library at the same time, the tables can be rearranged to suit specific needs and every computer and table seat can easily view the newly installed Smart board. Teachers are regularly bringing in their classes for research and computer use. Students are enjoying the relaxed atmosphere hanging out with friends and finishing up projects during lunch. As a result more books are getting checked out and in the hands and minds of the students! Let the battle begin for the SoPrep Battle of the Books team! Hali Currier, Laura Green, and Kenny Asbell with coach Donna Spence, our librarian have been busy planning strategy and reading the twelve books on this year’s list. Their first battle will be the district competition held on February 2, 2016. Then the district winner will compete for the state title on February 22, 2016. Both competitions are via phone conference which is great having no travel expenses and limits loss of classroom time. The competition consists of each team competing head to head in three game show like challenges facing one or two different teams in each game during the morning. Everyone in the district will be asked the same questions during the morning rounds and the points from the morning will decide who continues in the afternoon competitions to determine the KPBSD District winner. New for this year, the afternoon competition will be held via Lync video conference. 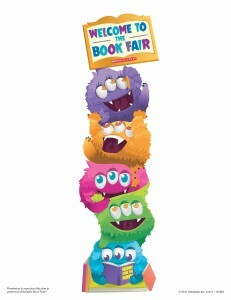 The first ever Soldotna Prep Book Fair was held the week of conferences. With both students and parents shopping the selection, we were able to earn $484.92 in Scholastic Books and the bake sale earned $129 that will be used to purchase books from the ever growing students and staff requested list. A huge thank you goes out to the awesome volunteers who made this all possible. Thank you Melissa Bever, Michaleen Gross, Mickey Sopkowiak, Eva Knutson, Cleta Elfritz, Cyndy Denna, and Drasanna Edelman. The SoPrep’s Battle of the Books Team has been meeting in the library during Monday’s lunch period. If you would still like to join, just show up at this time! We have been having a blast getting to know each other and the twelve books that are in this year’s high school competition. Dates are Feb. 2,2016 for the district competition and Feb. 22, 2016 for the state competition! Go SoPrep!! Check out the book trailers and author info here: Author info and book trailers. There is a book for every genre lover. Also go to my quizlet site Quizlet and race against the clock to learn which author goes with which book. May we all spend some time over the Thanksgiving break being thankful for all the blessings that we have. Everyday is a gift full of blessings if we just take a moment to notice them. Use your break to take some time to notice, spend time with loved ones and read a good book just for fun. Hope everyone has a great break! 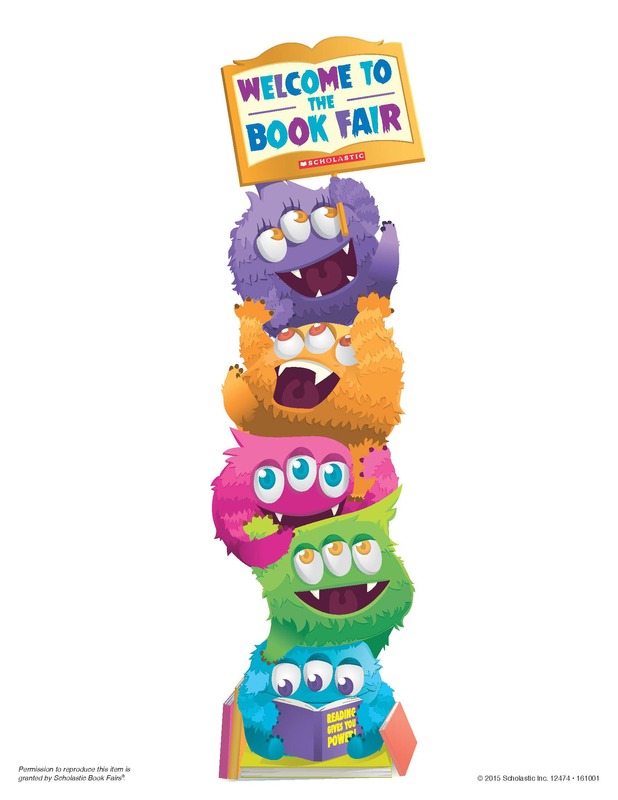 The first ever Soldotna Prep Book Fair was held the week of conferences! With both students and parents shopping the selection, we were able to earn $484.92 in Scholastic Books and the bake sale earned $129 that will be used to purchase books from the ever growing students and staff requested list. A huge thank you goes out to the awesome volunteers who made this all possible. Thank you Melissa Bever, Michaleen Gross, Mickey Sopkowiak, Eva Knutson, Cleta Elfritz, Cyndy Denna, and Drasanna Edelman!! Happy Reading! We have rearranged to make more room for you! Come in and see how every computer station is now in the middle of the room. No more facing the wall! 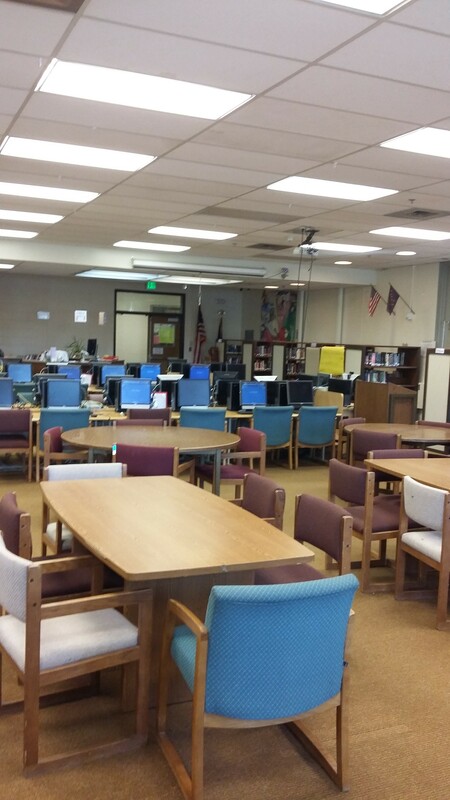 Twenty-six computers are available for full classes, lunch time media fixes, or individual online classes. The table area is roomier and can be arrange in many ways to seat a full class of thirty plus people or even two smaller groups or lunch time hangouts. All the book shelves are now spaced throughout the room, giving more space to move between the stacks. And the most exciting part is now we have a smart board that every computer station and table can easily view. Come check it all out and check a book out too! Get Your 28 Free Audiobooks This Summer! Sign up for alerts to be notified when each week’s two free audiobook downloads are available. They are only available for their week which starts on Thursday and runs through the following Wednesday. Once you download them they are yours to keep forever! Or, visit audiobooksync.com every Thursday (starting May 7 through August 13) to download that week’s audiobooks. You need to install OverDrive’s app or desktop software from app.overdrive.com before. Information courtesy of Overdrive, Inc.
Don’t forget that this contest is open to ALL students and staff and runs through this Friday, February 20, 2015! Come stop by the library to get your form and turn it in for some popcorn! GOOD LUCK! Students and Staff, come to the library to the ‘Love Connection’ Display to get your list of sweethearts. 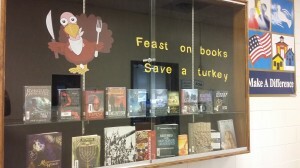 You may use the books on display, your natural knowledge and your electronic devices. Correctly completed lists turned in to the librarian (or placed in the ‘book drop’) will receive a bag of microwave popcorn. Good luck and Happy Valentine’s Day!! Contest will end on Friday, February 20, 2015. 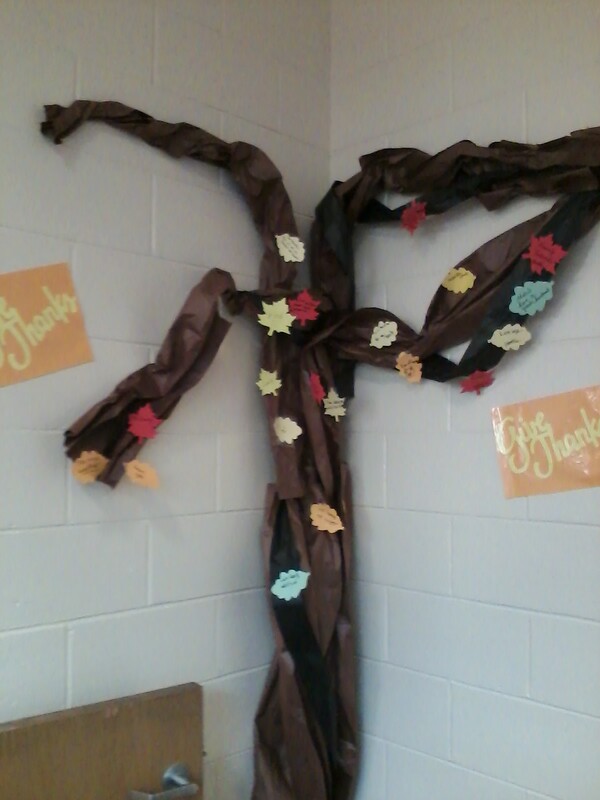 All during this season of being thankful the ‘Give Thanks’ tree will be displayed behind the circulation desk. 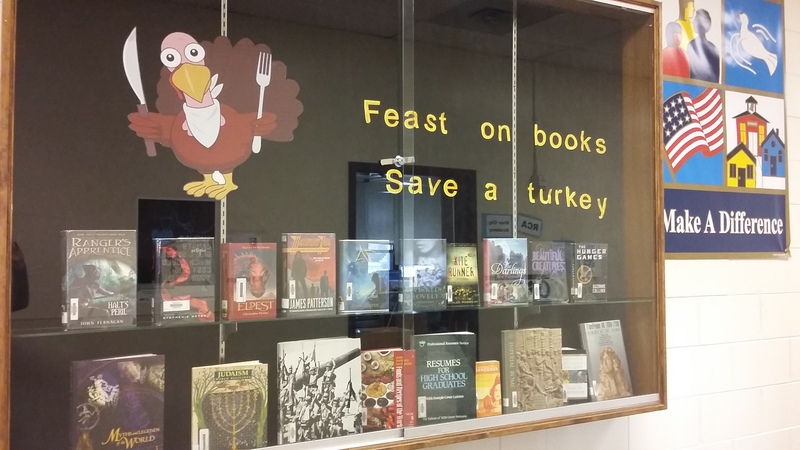 Leaves, markers and tape are on the circulation desk for you to write what you are thankful for. We all have things, events, and people that have made a positive impact on our lives this year, no matter how ‘bad’ of a year we have had. You may use as many leaves as you wish to make our tree full of thankful leaves. THANKS and Happy Thanksgiving.